Where emotive art and wellness come to life. The Needle and Knot Collective leverages the world’s best textile and design sources to elevate your space to the next level. We source the finest fibers and materials when we set out to create every commissioned item and wholesale order. But we don't stop there. 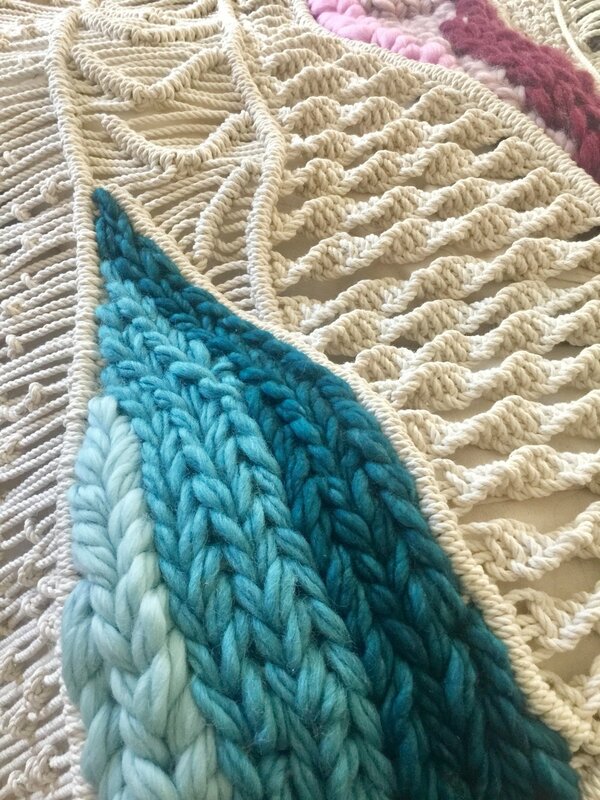 For those who want to take their space AND their skills to the next level, we also offer weekly classes, one day studio workshops and the popular “Girls Night In” fiber art workshop held in the comfort of your own home. What you’ll learn in these classes include the same techniques, secrets and materials that I’ve used in my signature pieces for years! Keep scrolling to view more of our work and creative concepts, and when you're ready click on the "Let’s Create!" 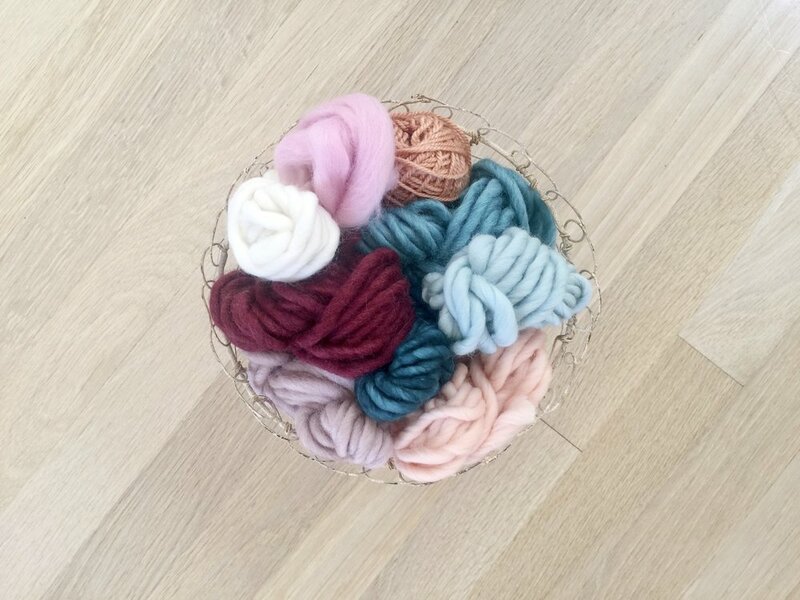 tab above to learn more about us, our classes, our partners and how you can become a part of the Needle and Knot story. Only the highest quality wool, cotton and specialty fibers are sourced for each commissioned product. From hand dyed Peruvian wool to luxurious Italian linen and shimmery metallic lurex, carefully chosen fibers lend originality, beauty and uncompromising quality. Fully customized commissions are available upon request by messaging here. Local Boston area workshops to introduce and enhance your weaving, macrame and novelty fiber creations such as garlands, functional items and mixed media projects. Art studio, in home or retail settings offered across a variety of fiber art techniques and styles. Check out our current class schedule here. Looking to bring in unique, on trend and high quality artisan goods? Take advantage of wholesale pricing across all product lines from woven wall hangings to macrame functional items and more. International clients are welcome. Wholesale inquiries can be made by messaging here. Sunsets and Sangria is the embodiment of progressive creative expression. Where age old handcrafting like textile dying and fiber spinning combine with the emergence of modern day weaving, this beautifully woven wall hanging brings together some of Needle and Knot's most classic features. From stunning colors to luxury fibers and delicate accenting, we're taken on an artistic journey of movement, texture and balance. Please inquire here for pricing. An historical art form gets a modern infusion of color. Macraweaving is the latest wall art to trend social media, chic interior spaces and fiber artists across the world. With endless contrasts from cotton versus wool, color versus neutral and symmetric versus asymmetric, these eclectic wall hangings bring any space to a new level of interest and design. We've hand selected the purest forms of cotton and wool materials to bring this textured and earthy wall hanging to life. An abstract triptych bestows a modern, signature look. Agate is all about modernism with it's abstract lines and neutral color palette. A statement piece with tucked away accents like metallic sequins, delicate cotton fringe, shimmering copper rope and soft Muga silk, this woven wall hanging was designed with a nod to a geological heritage full of contrasts and imagination. A wall hanging with highly curated materials, Agate represents a robust form of artistry that delivers on abstract, two dimensional visual arts. We promise to only send you the good stuff! Happenings like new product releases, workshop dates and special events. Thanks so much or staying in touch! It’s fans like you that make what we do so amazing.